It is also used to help relieve itching and redness due to hives. However, this medication does not prevent hives nor treat or prevent a serious allergic reaction. Loratadine works by blocking the effects of histamine in the body. Histamines are a natural substance in the body that causes allergic symptoms. When your body comes in contact with allergens, the histamine receptor cells release the chemical causing allergic reaction. Allergens may include pollen, dusts, insect bites and animal fur. 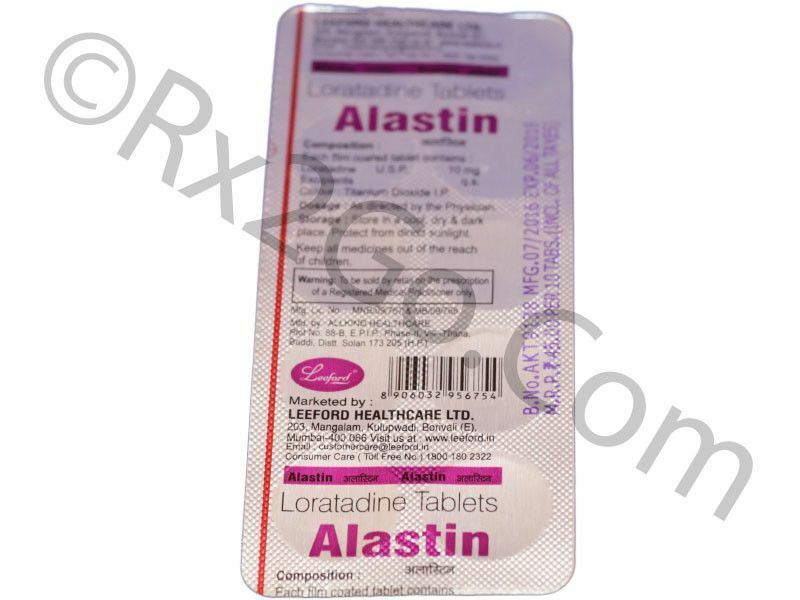 Loratadine is non-sedating and a long-acting antihistamine. It is FDA approved since 1993 for the treatment of allergies. It is easily absorbed and fast acting. Unlike other drug of this category, Loratadine does not pass through the brain therefore, it does not cause drowsiness. It is available over-the-counter both as a generic drug and brand names. However, the generic drug is a lot cheaper than the brand names. You can buy Loratadine here. Loratadine comes in a tablet and syrup form to take by mouth. If you are using the OTC drug, read all the directions on the product package before taking this drug. The usual recommended dose is 10 mg a day for both children and adult older than 6 years of age. The recommended dose for children 2 to 6 years of age is 5 mg a day. Take Loratadine by mouth with or without food. Take the medication in the morning but you can take it as the need arises. Take it in the evening if the symptoms are worse in the evening. For the chewable tablet, chew the tablet well before swallowing. If your symptoms do not improve after 3 days, contact your doctor. Use this medication only as needed. If you no longer need it, stop using this drug. Loratadine may cause some side effects like headache, fatigue, dry mouth and drowsiness. Do not use this medication in treating a severe allergic reaction. Follow the package instruction if you are using the rapidly disintegrating tablet. Pregnant women should use this drug only when clearly needed. Loratadine must not be used in treating hives that are blistered and bruised. Inform your doctor if you are using any other medications for your health conditions.